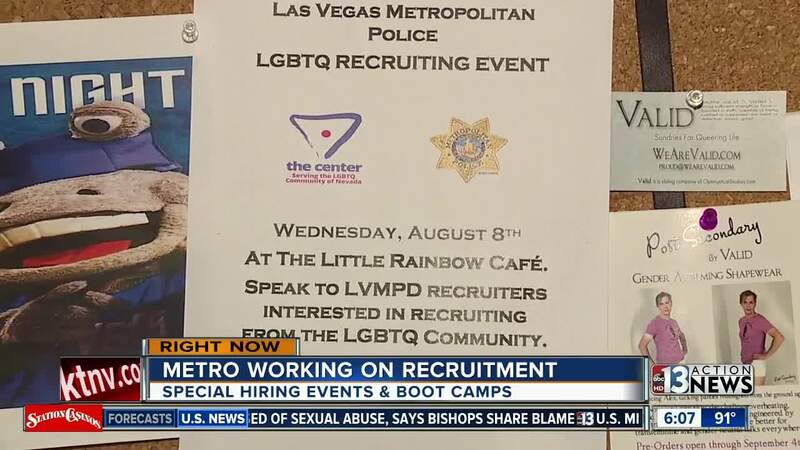 The Las Vegas Metropolitan Police Department is holding several special hiring events, including reaching out the LGBQT community in Las Vegas. The Las Vegas Metropolitan Police Department is trying to strengthen relationships with certain pockets of our community. Police are also beefing up recruitment. 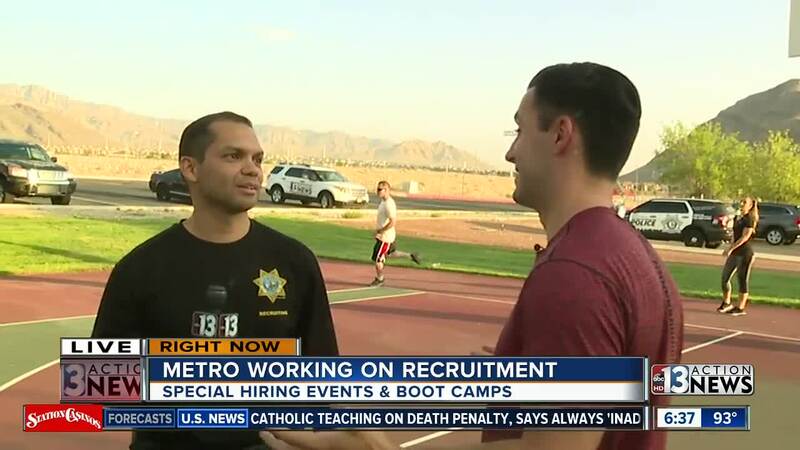 Tuesday and Thursday mornings, LVMPD holds physical training to prepare future officers. Anyone interested can attend. They've also been narrowing in on groups like the LGBTQ community. Andre Wade, the director of the Gay and Lesbian Community Center of Southern Nevada, says the relationship with police has improved. Several things have helped including the Adopt-A-Cop program where new officers spend a few days training at the Center, the fact that the Center has a former police officer currently on staff, and Las Vegas police have held several open ended talks with the LGBTQ community. Now the Center is helping put on a special recruiting event with Metro. "When they come to us saying 'hey we're looking to recruit into the LGBTQ community, can you help us?' We're like yes, you've helped us, you've responded to us. This is one of the things that we can do," said Wade. The recruiting event is Aug. 8 at the Center located at 401 South Maryland Parkway.